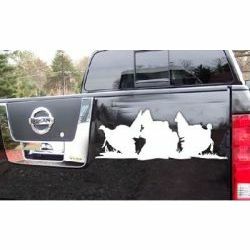 Turkey silhouette decal available in several colors. We love to hunt spring gobblers and this is a must decal for all diehard turkey fanatics. Get your hands on one of these great Strut Your Stuff decals today, you'll love it! Size 27" X 11". 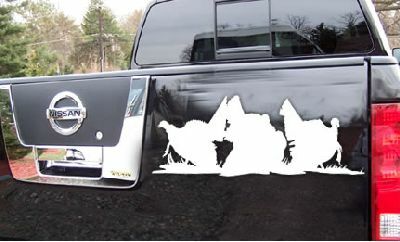 These Turkey Hunting vinyl decals and stickers are for display on trucks, cars, trailers, boats, gun cases & other smooth surfaces.